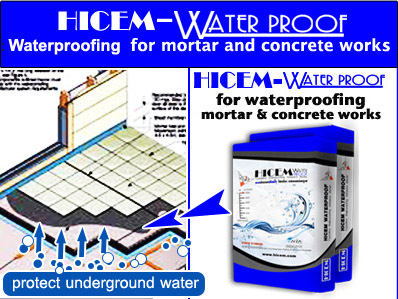 Hicem - Waterproof is a new product of hybrid cement combining the value of true waterproofing with the strength of adhesive for tile installation or any construction project. 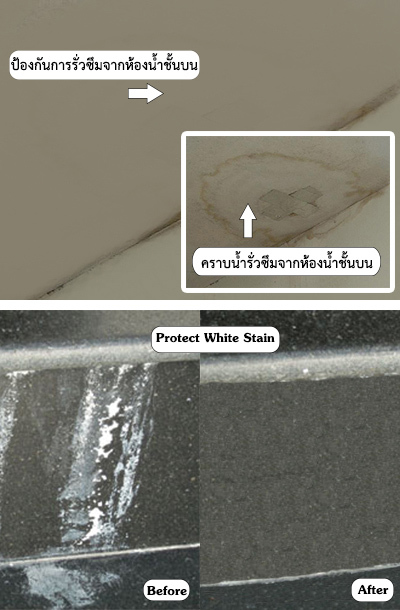 A leading and respected laboratory developed and tested this innovative cement to permanently seal and bond tiles to prevent water damage. The new technology activates a crystal sealer whenever exposed to water and effectively blocks the naturally porous cement providing a new level of durability against the ravages or moisture, chemical agents and flooding.HICEM, a leading name in adhesive mortar production for many years, now leads the industry in this breakthrough method of combating the natural dangers of rain of flood water intrusion HICEM-WATERPROOF. 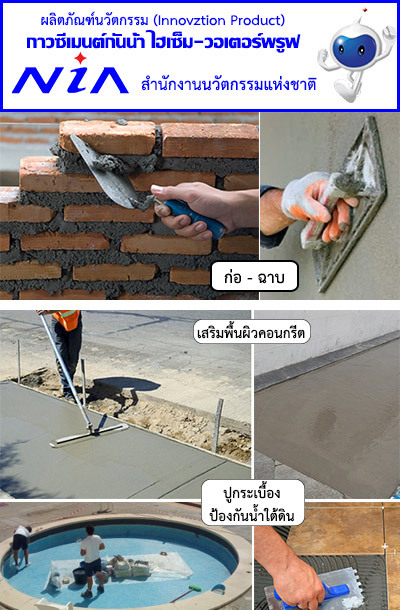 offer "water-proofing" fir the first time as opposed to mere "water-resistance" of other products.Application Waterproofing for mortar and concrete works. Properties- Internal waterproofing by activating properties that become a part of the cement matrix and withstands high hydrostatic pressure. - Maintain adhesion and cohesion over lengthy periods even under extreme and cyclical conditions. - Suitable for tile installation, plastering, or any concrete construction on building areas exposed to water intrusion. 1.The substrate should be flat, level, oil and dusty free. 3. Apply HICEM-WATERPROOF by notched trowel 1 sq.m2 each time with the average 0.5-1.0 cm. thickness. Then press the tile and adjust as required. (Adjustment time is about 15 mins)Remarks For waterproof mortar or other concrete works, HICEM-WATERPROOF should apply continuously with the thickness not less than 0.5-1.0 cm.